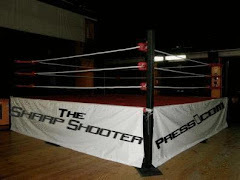 Here, you can submit your personal wrestling related questions to Sharp Shooter Press for a chance to be in our weekly mailbag! We will answer three questions per week with anything to do with WWE, TNA, ROH, CHIKARA, and all other wrestling promotions! Feel free to submit any questions and check every week for the brand new Sharp Shooter Mailbag, exclusively on Sharp Shooter Press.